Who can order Plaquenil 200 mg online? You can only order Plaquenil 200 mg if you have been given a prescription for it from your doctor. Once you have a prescription you can buy Plaquenil 200 mg online from YouDrugstore. We are an online pharmacy based in Canada. 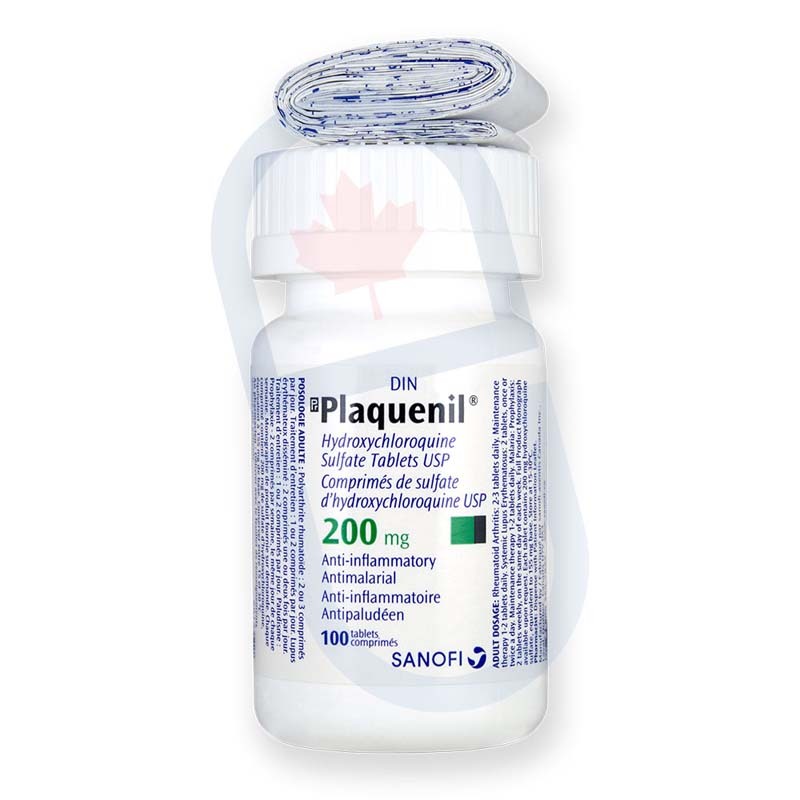 We offer Plaquenil Sulfate tablets (200 mg) at the same price Canadians pay, as well as cheap, discount shipping that delivers right to your home. All orders over $100 come with free shipping. Simply register on our website and send us your prescription. After we have received all of the necessary information the team of professional physicians and pharmacy technicians at YouDrugstore will review your order. Consider asking your doctor to fax us your prescription directly from their office for extra convenience. Purchase Plaquenil 200 mg today and begin treating the symptoms of rheumatoid arthritis as soon as possible. What are the side effects of taking Plaquenil 200 mg? Every time you take a medication you could potentially experience side effects. When you take Plaquenil sulfate tablets you may experience nausea, stomach pain, cramps, diarrhea, vomiting, a change in appetite, and sometimes a change in vision. Less common side effects you may experience include dizziness, headaches, rashes, itchiness, and some hair loss. If any of these side effects become severe, or if they persist, speak to your doctor. Fortunately, most people do not experience any side effects when taking Plaquenil. If you experience any other side effect not mentioned here talk about it with your doctor. When should you take Plaquenil 200 mg? Plaquenil tablets should be taken on a full stomach to avoid any stomach upset that might occur. You can also try taking your Plaquenil 200 mg with a full glass of milk. Treatment with Plaquenil is individualized, which means your dose may change, and it may be different from others who are also taking Plaquenil sulfate tablets for arthritis. That being said, you should always follow your doctor's instructions exactly when taking Plaquenil 200 mg. If you happen to miss a dose you can take it as soon as you remember it unless it is nearly time for your next dose. Never double dose Plaquenil 200 mg, and never try to 'catch up' missed doses. Do not chew or break apart the tablet. If it is unclear how you should take your Plaquenil sulfate tablets ask your doctor. Why is Plaquenil 200 mg prescribed to treat rheumatoid arthritis? Doctors are not entirely sure about the process in which Plaquenil treats rheumatoid arthritis symptoms. However, Plaquenil is made with the generic drug called Hydroxychloroquine. Hydroxychloroquine is actually used for the treatment and prevention of Malaria, but it also acts as an effective anti-inflammatory. Arthritis is, essentially, harmful and persistent inflammation. Considering how uncommon side effects of taking Plaquenil can be this makes it a useful tool in combating the symptoms of arthritis. Hydroxychloroquine is known as a relatively safe medicine, and the World Health Organization has listed it as one of the most essential medicines required for a basic health care system. Speak to your doctor about Plaquenil 200 mg if you are suffering from rheumatoid arthritis. How might someone receive a prescription for Plaquenil 200 mg from their doctor? 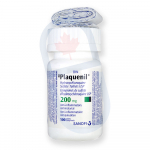 As mentioned above, Plaquenil is prescribed by doctors to those diagnosed with rheumatoid arthritis. However, Plaquenil 200 mg can also be used to treat Malaria, given that the active ingredient is an antimalarial drug. It is also sometimes prescribed to treat Lupus. Make sure you speak to your doctor before taking Plaquenil if you are pregnant or think you may be pregnant. You should never take Plaquenil if you are allergic to it or any of its ingredients. Speak to your doctor if you have any questions or concerns about taking Plaquenil 200 mg.
Where can I learn more about Plaquenil 200 mg?